Human resources consulting can be an exciting, challenging and inspiring profession, even for entry-level consultants. However, in order to become a proficient and confident HR consultant, certain training and skill sets should be pursued. Various courses and accreditations are offered and recommended to anyone wishing to pursue a career in HR consultancy. Well-qualified consultants in this field have expert training in such areas as professional practice staffing, labor and employee relations, training and development, compensation and occupational health wellness as well as organizational effectiveness. Most people with the desire to become HR consultants genuinely like other people and are constantly networking and communicating with others. The employment position of an HR consultant has the performance requirements of assisting company owners or management in recruiting, interviewing and hiring applicants for company jobs and overseeing staff recruitment campaigns. The consultant is also responsible in many instances for evaluating applicants’ educational and work backgrounds and either making or helping to make the final hiring decision concerning qualified candidates. The consultant may also be needed to act as a liaison between employers and employees relative to such subjects as job benefits, worker compensation and general policies regarding company personnel. Being discreet and maintaining strict confidentiality of valuable information relative to company issues, specific departmental concerns within the company or related to individual employees is also a requirement for any professional HR consultant. When working as an advanced HR consultant for a company, your most important task will be to supervise the human resources division or team while serving as administrator of an active HR program. 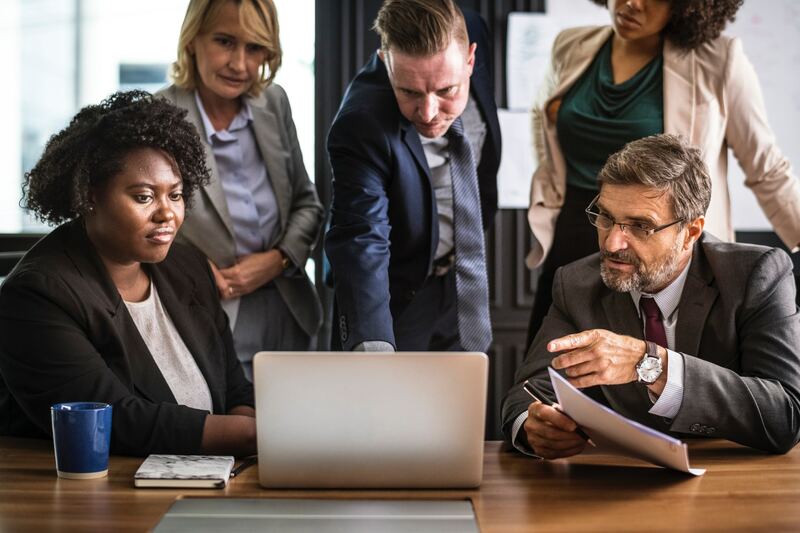 General industry studies over the last few years have shown that at least 83 percent of Human resources personnel surveyed stated that each employee’s workplace experience is of major importance to the overall success of a business. Most business owners, chief officers and management now place strong emphasis on upgrading employees’ training, enhancing their work environment and expanding company benefits. Many companies are now finding it necessary to revise office procedures to support an increasingly greater tech-driven workplace. For this reason, HR consultants with updated knowledge and expertise in the latest computer programs and digital technology are in high demand to ensure that appropriate changes move forward smoothly and efficiently in the best interests of the company and all its staff members. Some knowledge of human resources software and database programs. This four-year curriculum of study to prepare you for a successful career as a human resources consultant will incorporate courses in HR management, business organization and administration, company communications, operations management, professional development and marketing coordination for business. Each of these courses will build on the previous one in terms of helping you gain detailed knowledge and understanding of how a successfully operating HR department in a company works. After completing your study program and receiving your BA degree, you will be prepared to apply for an attractive employment position as a consultant, having acquired the education, understanding and confidence needed to pursue this innovative, challenging and inspiring career. If your academic requirements for completing your bachelor’s degree program included an HR internship at a qualified company, this will be a significant benefit for aiding you in obtaining an employment position as a human resources consultant after graduation. You already will have had some degree of experience in job interviewing, employee benefits management and various administrative tasks in a business HR division. If you did not participate in an internship during your college training, you should apply for an entry-level job as an HR associate, assistant, departmental coordinator or recruiter. This type of work can then help you acquire a higher position as an HR consultant. Any work experience you gain in this field of employment will aid you in landing your first job as an HR consultant, especially since human resources is a professional field that encompasses a wide range of skills, knowledge and expertise. Your next step toward getting your first HR consultancy job position is to obtain certification from the HR Certification Institute or SHRM, the two most recognized certifying bodies in human resources. They offer certification in different categories: Professional in Human Resources and Senior Professional in Human Resources. To obtain either of these certifications, you must meet the experience requirements and pass a detailed exam. Once you have received certification, many networking and job opportunities will be available to you. As well as verifying your knowledge and competence in the employment field of human resources, your certification indicates your strong, focused interest in this innovative and engaging professional field. It also reveals your genuine desire to find a quality job position in this field and your commitment to doing so. Once you have successfully acquired your first job position as a human resources consultant, you will want to continue seeking new opportunities to update your working knowledge, skills and techniques. By staying current with new resources available in this constantly growing and evolving profession, you will gain valuable understanding and expertise that you can apply every day in your current consulting work. You will also be preparing yourself for future advancement in employment level and salary benefits. Excellent online HR management courses are available for day or evening studies. In addition, you may want to plan toward taking a master’s degree program in Human Resources Management, either online or at a local college or university. The average annual salary for experienced Human Resources consultants with job positions in the United States business world today equals approximately $65,000. Entry level salaries are, on average, from $40,000 to $45,000 yearly, with opportunities for fairly rapid advancements in some companies and corporations. Currently, the top salaries in this field after ten to fifteen years of employment experience equal approximately $72,000 to $75,000 annually. The projected rate of growth for career opportunities in the human resources field over the next ten years is 13 percent. If you are employed as a human resources consultant and continuously take educational courses to stay updated in the varied areas of your profession, your chances of more rapid advancement in position and salary levels is significantly greater. When you are the HR Training and Development Manager for a company, you will implement and manage new training methods and materials for employees, helping to advance their skill levels and careers. By offering workshops and e-study classes and programs, you will initiate training sessions that promote regular opportunities for employee development. As a human resources executive recruiter, you will be recruiting for highly qualified applicants to fill such executive positions in your company as CEO, Vice President and other senior executive jobs. This is a very challenging and competitive area of the HR field, but it is a good position for human resources consultants with quality, ongoing training and expert skills. This employment position is usually quite lucrative over a period of time as well. This is a challenging long-term goal to pursue if you have the desire to focus your ongoing professional career in the field of human resources. Candidates who acquire this position have a more strategic role in their companies as major leaders, leaving the administrative duties to other company executives and staff members. In this high-level position, you will be defining and structuring major company systems, policies and ongoing goals. All other officers and executives of the company will ultimately report to you. In all levels of employment in the ever-expanding and changing field of human resources, from entry level positions to the high rank of Chief HR Officer, a genuine desire to work with and for the benefit of other people is essential for success. The best HR employees and leaders are people-oriented, with a keen interest in others and their interests, needs and goals in life. If you are truly a “people-person” who enjoys helping others realize their working potentials while assisting them in progressing to higher levels of advancement in their careers, you will be welcomed, promoted and highly appreciated as you progress through the many varied challenging, exciting and rewarding stages of your own valuable and celebrated career.